Prime Minister Narendra Modi is scheduled to visit his constituency of Varanasi, in Uttar Pradesh, on April 25 and 26, during which he is likely to file his nomination papers. 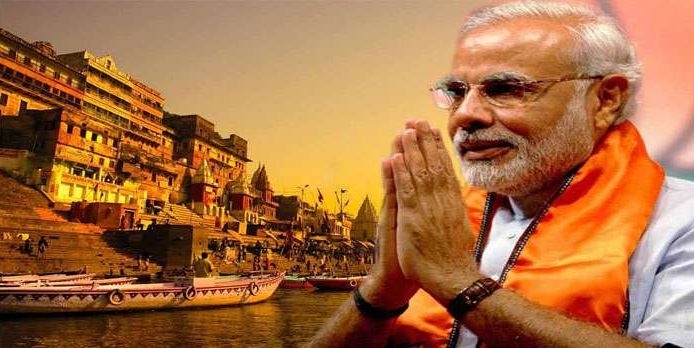 As per report, Modi will hold a road show on both days and visit the Kashi Vishwanath temple and Dashashwamedh Ghat by the Ganga. Varanasi going to polls in the last phase of the Lok Sabha elections on May 19. Already in the fray in Varanasi is Justice Karnan, the first High Court judge to be sent to jail for contempt of court, who is contesting for the Anti-Corruption Dynamic Party. Karnan is a former judge of the Madras High Court and Kolkata High Court. It is rumoured that the party will nominate Priyanka Gandhi Vadra to go up against PM Modi. Priyanka entered active politics earlier this year after she was appointed general secretary of the Congress and made in-charge of Uttar Pradesh East. Bhim Army founder Chandrashekhar Azad has also announced that he will contest against Modi as the grand alliance does not appear to have a strong contestant against the Prime Minister. “I will be fighting as an independent candidate from the seat as I do not want somebody, who is weakening the country, to win from Uttar Pradesh,”. Tej Bahadur Yadav, the Border Security Force (BSF) jawan who was dismissed from service in 2017 after he complained about the poor quality of food served to forces, is also considering tossing his hat in the ring.